DEBBIES POSTCARDS FROM ....: BAGRU. JAIPUR. i have been fortunate enough to be able to spend a few days with steve, katree & lili. they have been off having a great time, on their own. they are staying @ SHAHAR PALACE. their hosts are the CORNEL AND THE LOVELY MRS. SINGH. NOW, they have come to spend a few days in jaipur & with me. it was lovely to spend time with familiar faces, share with them places i have been. of course, invited to my home. katree had a understanding of where it is, as it is 3mns walk from ANOKHI shop. ANOKHI is a bit of a landmark. foreigners head for it. for the clothes & also the cafe. back to our day at BAGRU VILLAGE. it is sw from jaipur. took about 1 hour in the car. 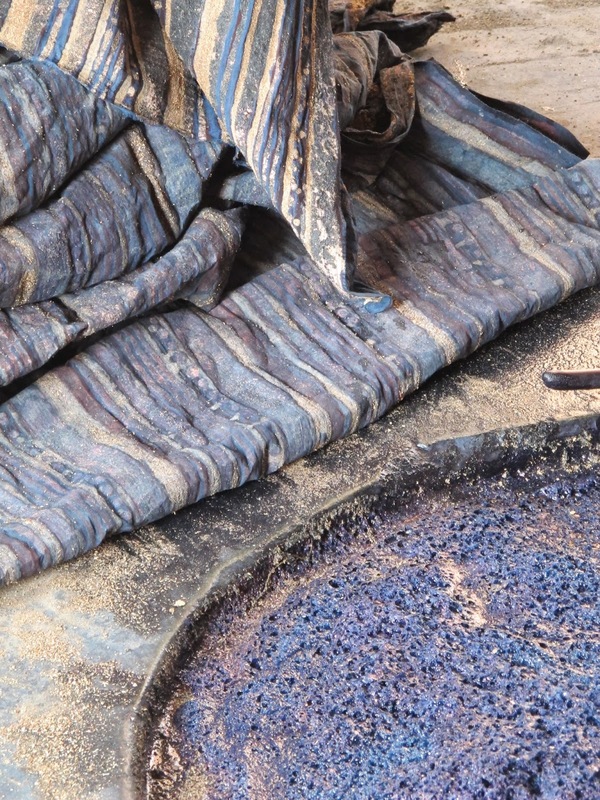 BAGRU is a village,well noted for BLOCK PRINTING & INDIGO DYEING. we found this workshop & sales room. this well established business is owned and managed by 2 brothers. one brother, is in charge of the workshop. other brother, MAHESH DOSAYA mob. 9829069072 is in charge of the showroom. 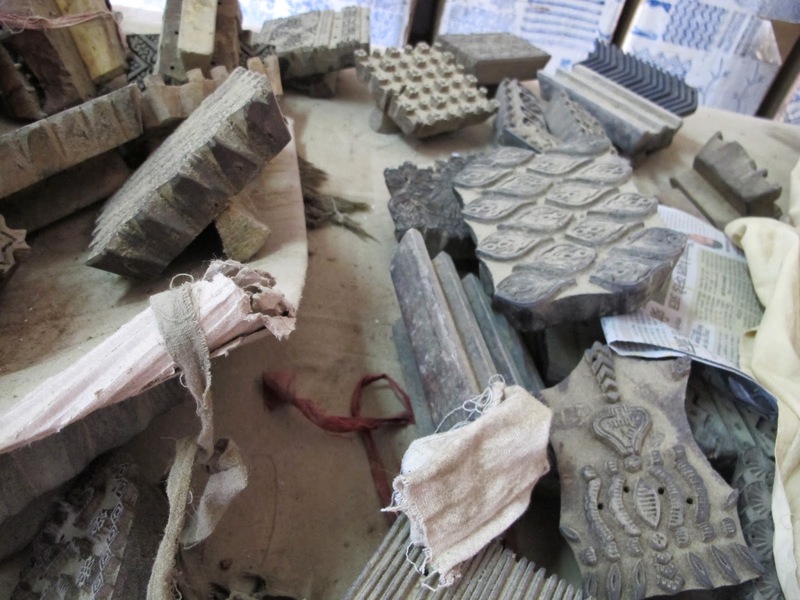 these hand carved wood blocks, are the tools of the trade for the MASTER PRINTERS. there is so many of them, just laying around. introducing MASTER. he has been working here, forever. he doesn't wear glasses, and he is so precise with the placement of the block. 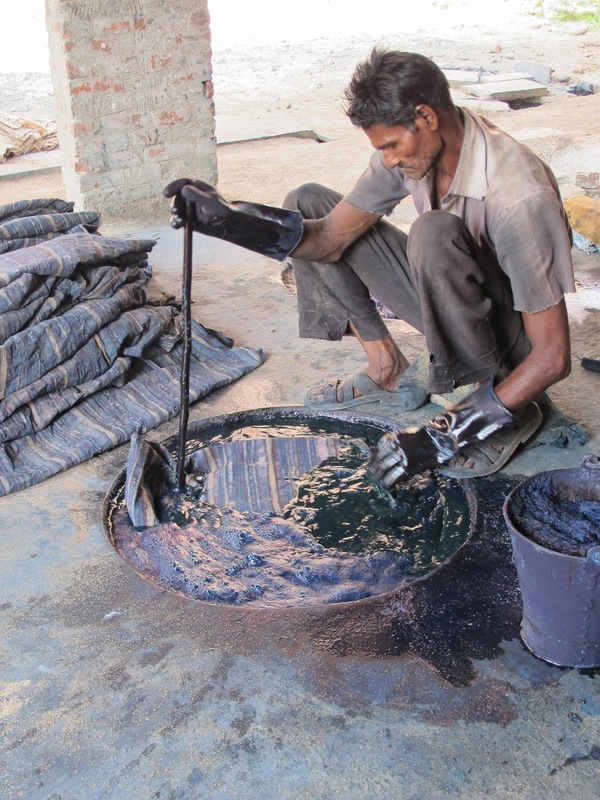 this is the INDIGO DYEING AREA. this man is dyeing fabric, in a hole in the ground that is about 6' deep. the indigo soup is bubbling away, and he just slowly lowers the printed cloth into it. 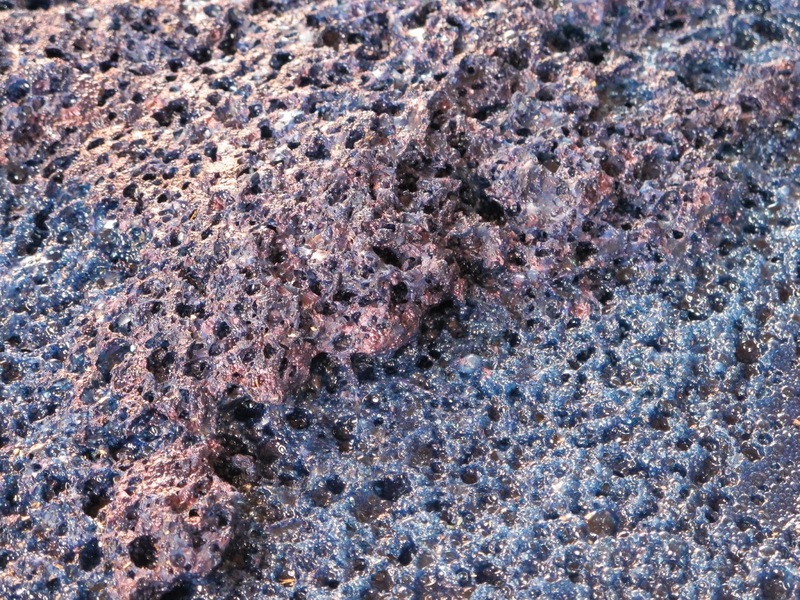 here is some fabric that has had 1 dip in the INDIGO BATH. sometimes the designs call for many dips. we enjoyed a very interesting time here. everyone was willing to talk to us, about their art. the showroom was clean and well set out. i wanted to purchase a sari length (9 mt) of some of this cloth from bagru. after looking for a while, i found the one. i had found a TAILOR IN JAIPUR. i just needed to decide on a design. 51 - 52, near the HOLIDAY INN, on the AMBER ROAD. 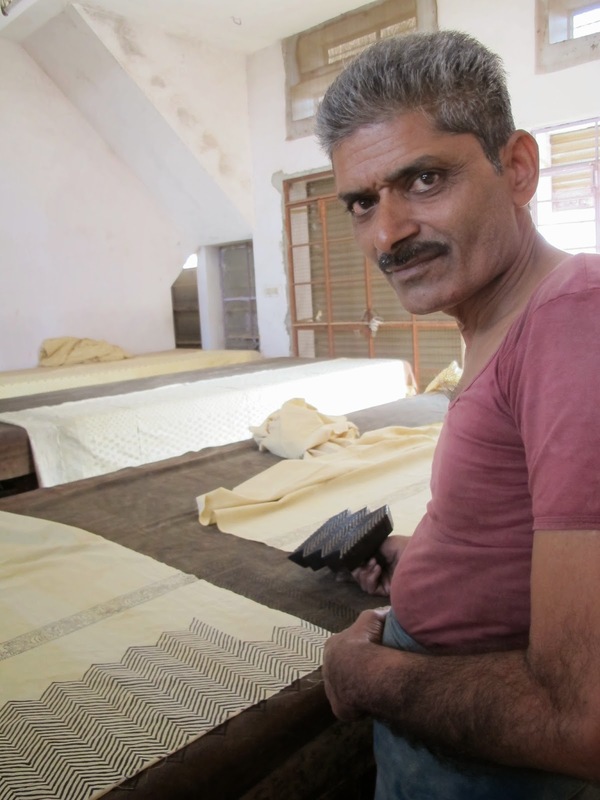 KRISHNA is the owner of this shop,he sells fabric, ready made goods. i have always been very happy with the garments i have had made. thought I'd include these photos of the 2010 tour we did into GUJARAT. because he is VERY FAMOUS for his work & promotion of this art. this is where shelly came, and learnt the art, and honed her design and printing skills. fabric that has been BLOCK PRINTED & 1 dip in the INDIGO BATH. DR. KHATRI designs are very intricate. they require as many as 20 dips in the bath. hands of an INDIGO WORKER. this fabric has been in the INDIGO BATH. look closely, and you can see the BLOCK PRINT through the dye. 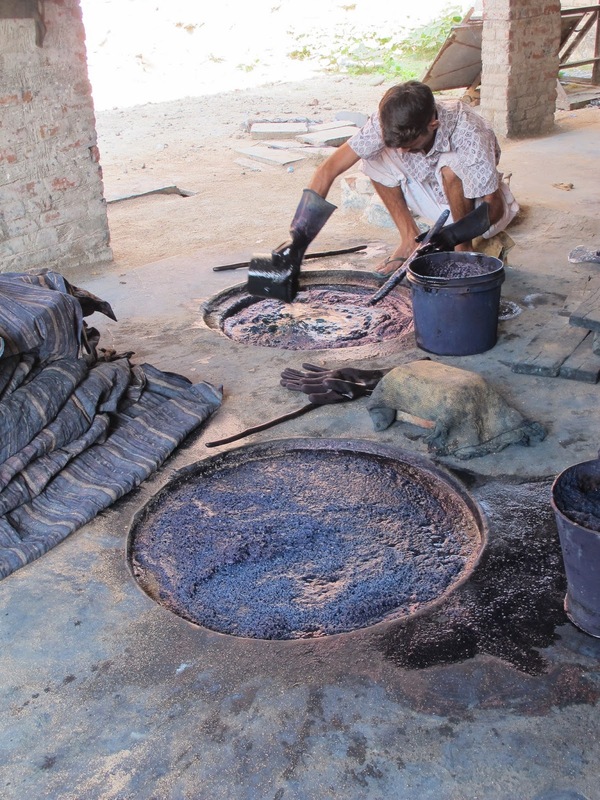 this is the area of the INDIGO DYE BATH. 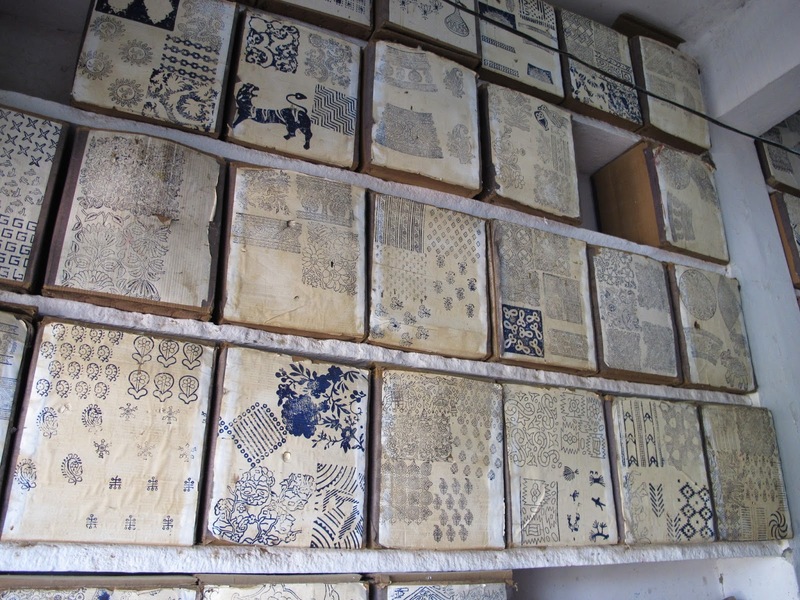 part of a length of BLOCK PRINTED FABRIC. drying in the sun, ready for the INDIGO DYE BATH. this photo should be at the top . it is in the workshop @ BAGRU. these boxes hold many, many wood blocks. the designs are stamped on the outside. the 2 long walls in the workshop were stacked with these boxes. the day we all spent @ BAGRU was interesting, fun,with many shared laughs.